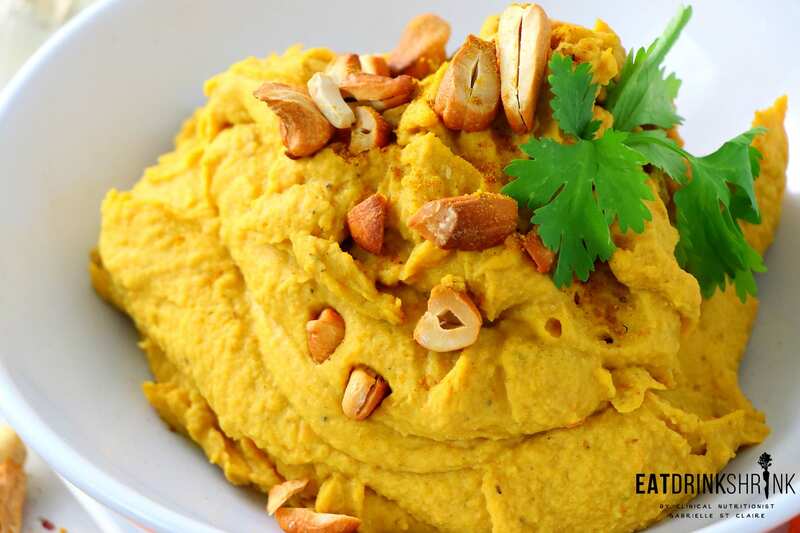 Curried Sweet Potato Hummus - Eat. Drink. Shrink. I’ve been on the move with creating effortless concepts with a modern spin. 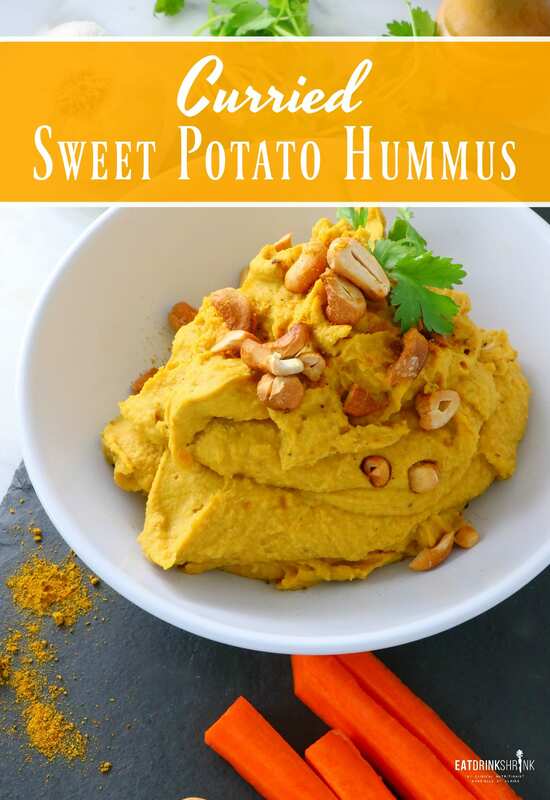 One of my favorites, is hummus! Like I always say, it’s a “blank canvas”. You can take the flavor profile in whatever direction you see fit leaving the options endless! Life is too short for plain ol’ hummus! When it comes to curry, there are a handful of dishes I do. However, I truly love the flavor it creates and it’s one of my favorites! Perhaps it’s a sign I need to explore more recipes with it! 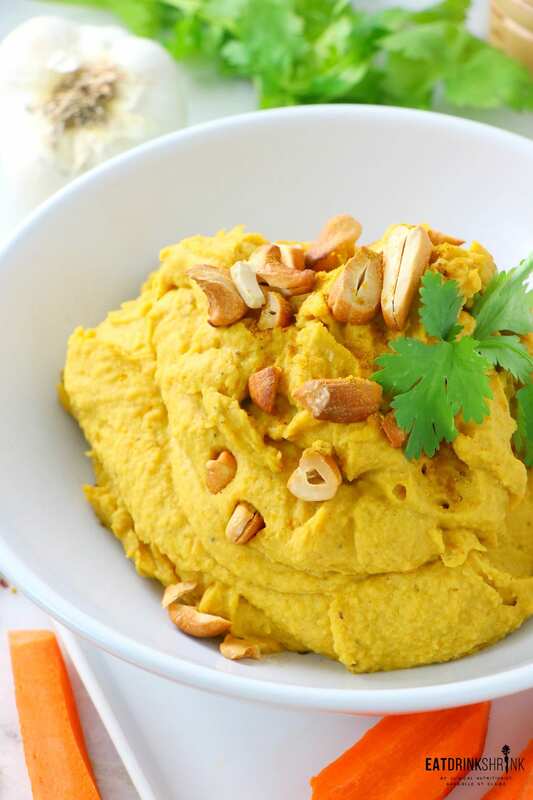 While chickpeas pack tons of nutrients already, I thought to myself, what would be a good addition to complement the flavor, texture, and add an additional boost of nutrients? What I love about this hummus, is truly everything! (I’m actually eating it right now lol). 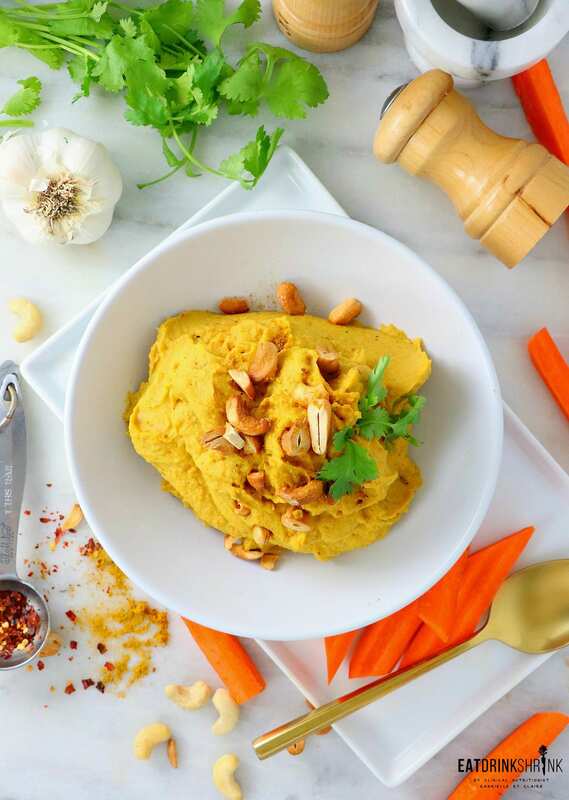 It’s your standard quick and easy hummus concept, but packs so much flavor, color, texture with the toasted cashews, and is simply a curry lovers dream in a dish! 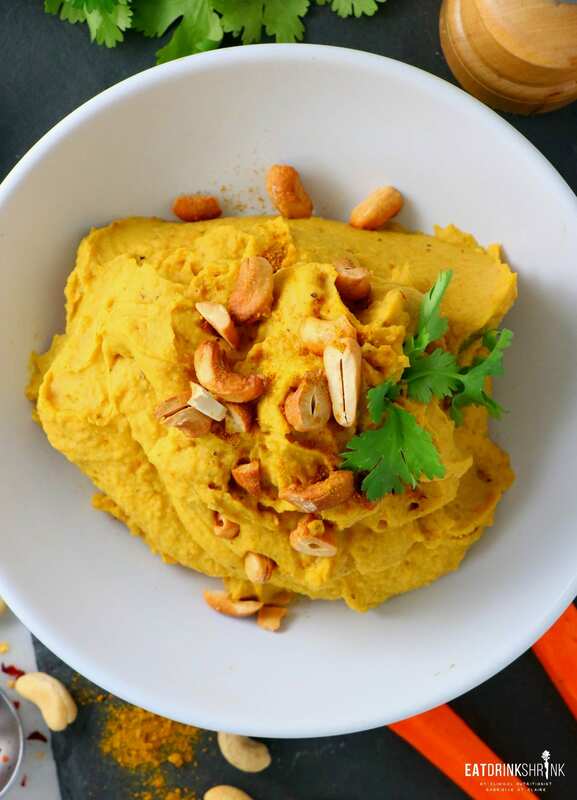 If you love fun modern hummus concepts, you’ll be all about this vegan Curried Sweet Potato Hummus!